Eastbourne police rescued a loose swan causing issues on a road, in a caper which to some resembled a popular comedy film. PCSOs Clarke and Raczynska swooped to the scene in the Langney Rise Seaside Roundabout area after the large bird was spotted causing problems. The swan was safely taken to a nearby field and a local wildlife rescue was made aware of the situation. 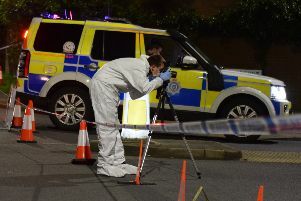 Eastbourne Police were quick to point out the incident’s similarities with a scene in Hot Fuzz, the police film starring Simon Pegg and Nick Frost. The scene sees sergeant Nicholas Angel receive a call from a Mr PI Staker stating ‘the swan’s escaped’, and hilarity ensues as Angel with his sidekick PC Danny Butterman attempt to catch the swan.